My idea of winding down is to get back to nature and getting on the water is a great way to do this. 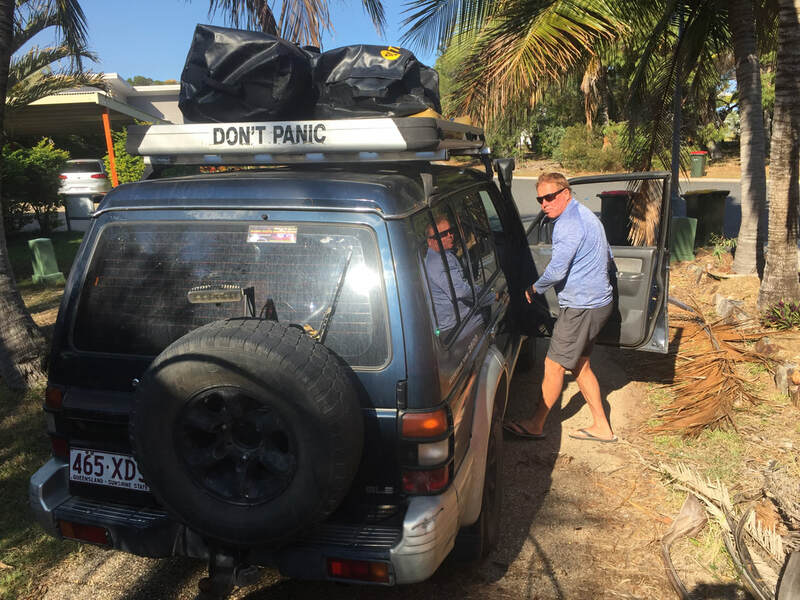 With the TIWAL strapped to the roof and the powerboat on the towbar, myself and travelling companion, Rob, took the long road through the National park to Middle Creek, one of the creeks in the Eurimbula National Park in Queensland. Twenty minutes later, the TIWAL was on the water! 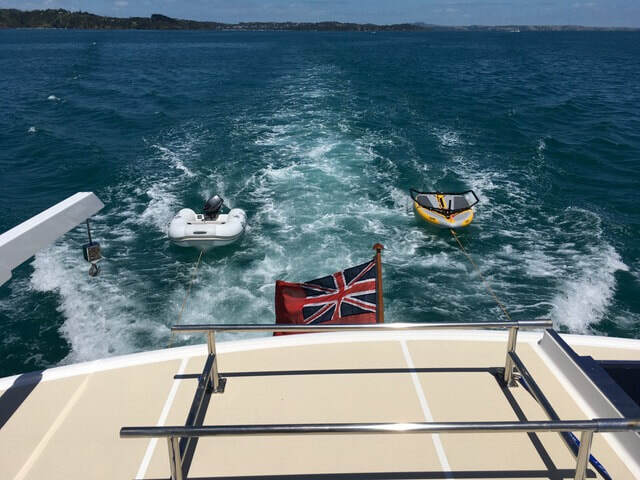 Rob, a keen fisherman, decided to take his speargun, flippers, mask and snorkel as well - well, why wouldn’t you take your speargun out sailing?! We made our way down the creek trying to spot fish as we sailed along the mangroves. We watched a young fishermen in a kayak pull up a Flathead so we thought today could be our lucky day. The breeze increased and I got Rob sitting on the rack with his feet under straps for the first time! He liked it, so we headed towards the mouth of the creek and the sand bar and turned downwind to surf the waves back in. 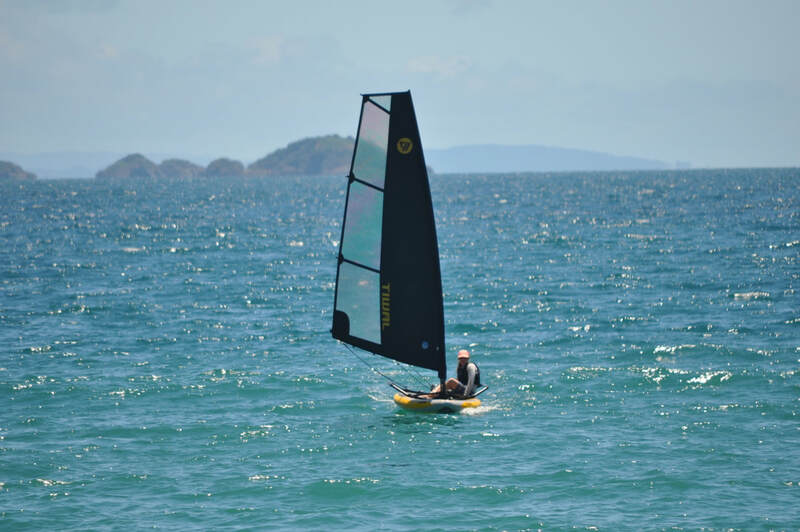 My Olympic days sailing kicked in - I wanted to have some fun - so I taught Rob how to ‘pump’ the sail as I steered down the next wave using my bodyweight to flatten the boat and we got the TIWAL surfing down the waves. We saw a half sunk yacht, a bit sad to see but a potential fishing spot nonetheless, so out came the spear gun and flippers. The locals would blame our lack of catching fish on the northerly breeze - so did we! We also sailed to where Captain Cook landed (in 1770) - it was a great place to meet the extremely laid back locals and campers and give the adults and kids a sail in the TIWAL. Come and discover the New Reefable sail at the Sydney Boat Show. The TIWAL will be displayed next to the Red Paddle Stand on the top floor of the Sydney Convention Centre. You will also find us demonstrating on the event deck outside. The TIWAL is quick to assemble and easily portable. 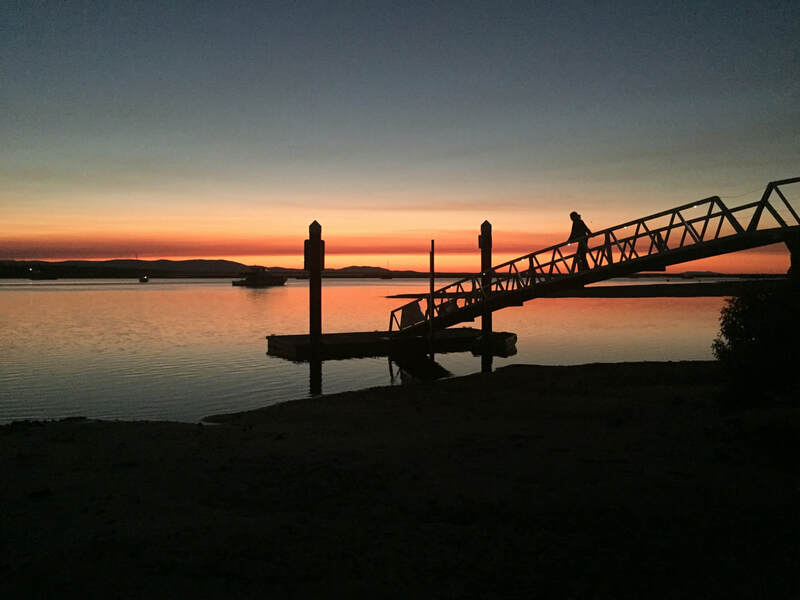 Take it in the car, boat or camper van or wheel it to closest beach for a whole day of fun with the family! The TIWAL will be available after the Sydney show for demonstrations during the week of the 7th August or Saturday 11 August. 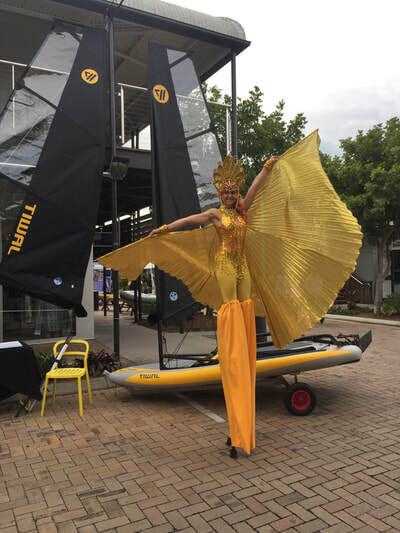 Photos:The TIWAL Inflatable Sailing Dinghy exhibiting at Sanctuary Cove Boat Show. 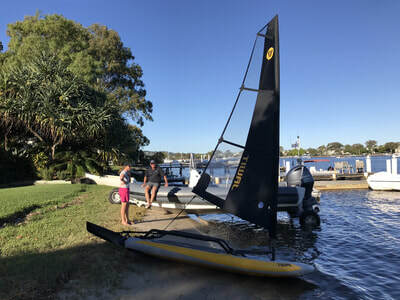 Demos at Twin Waters Resort, Noosa River, Noosa Camping Ground and at the Royal Queensland Yacht Squadron. 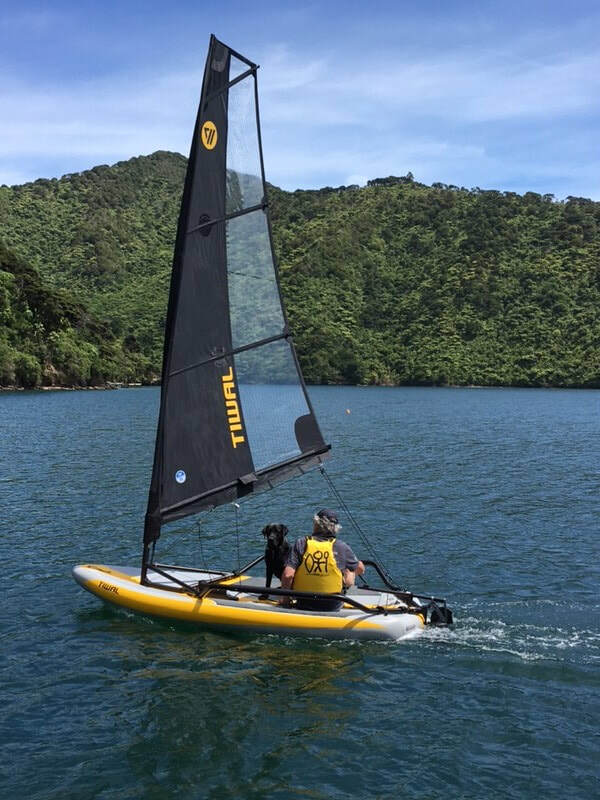 The TIWAL Sailing Dinghy is gaining a reputation as the most used toy on super yachts! It is simple, quick to assemble which makes it easy for the most unqualified of sailors to put together! 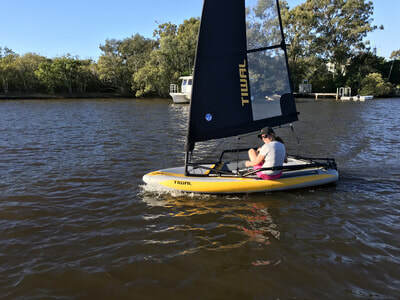 The TIWAL is truly a comfortable sail for all ages and abilities. 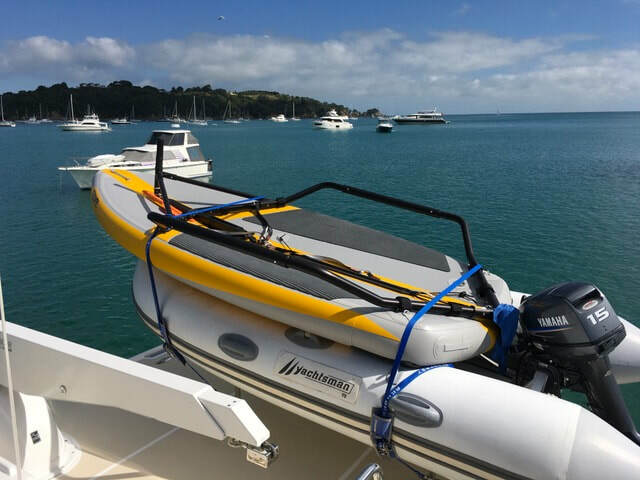 The TIWAL is easy to tack and gybe and the high boom makes it very safe. The lightweight hull is easy to right after a capsize and the low hull makes it easy to climb back on just in case of a capsize. The TIWALs come ready to assemble in two bags - 145cm long including mast, sail and pumps. 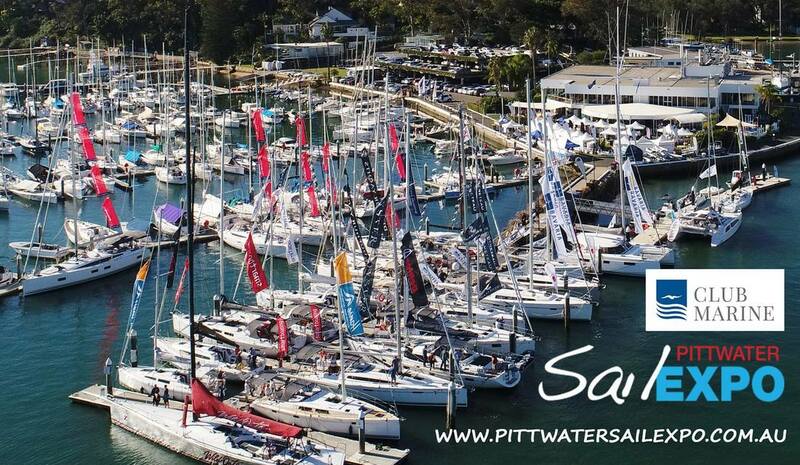 The Sanctuary Cove boat show will take place from 24-27 May and the TIWAL will once again be exhibiting. You will find us outside near the Marina entrances on Masthead Way. Please come and chat and find out where and when we are holding demos so you can have a go. You can find your tickets here online and kids under 15 are free! 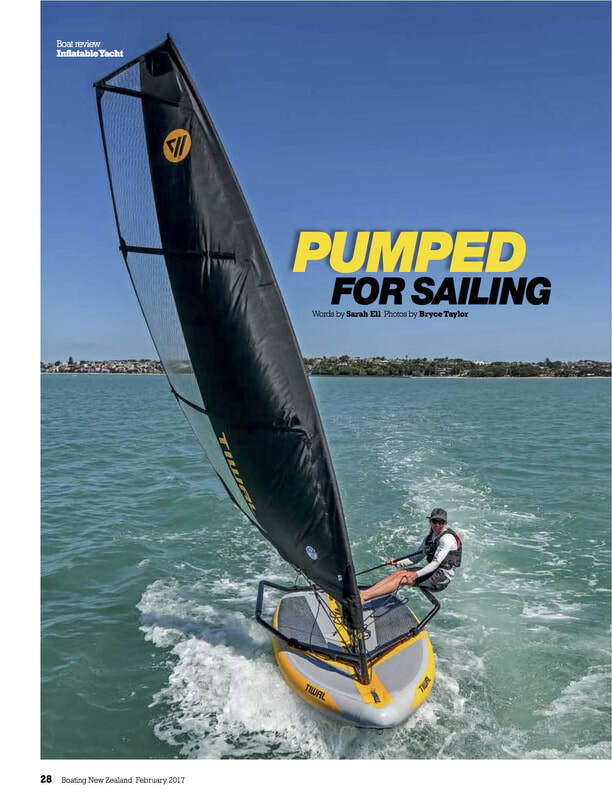 Sick of tripping over hard dinghys stored on deck? Come and see the TIWAL inflatable sailing dinghy that can pack down into two bags, is quick and easy to assemble and fun for all levels and ages. You have to see it sail to believe it! Club Marine Pittwater Sail Expo and the Life Aquatic present:Have a Go in a TIWAL Inflatable Sailing Dinghy. 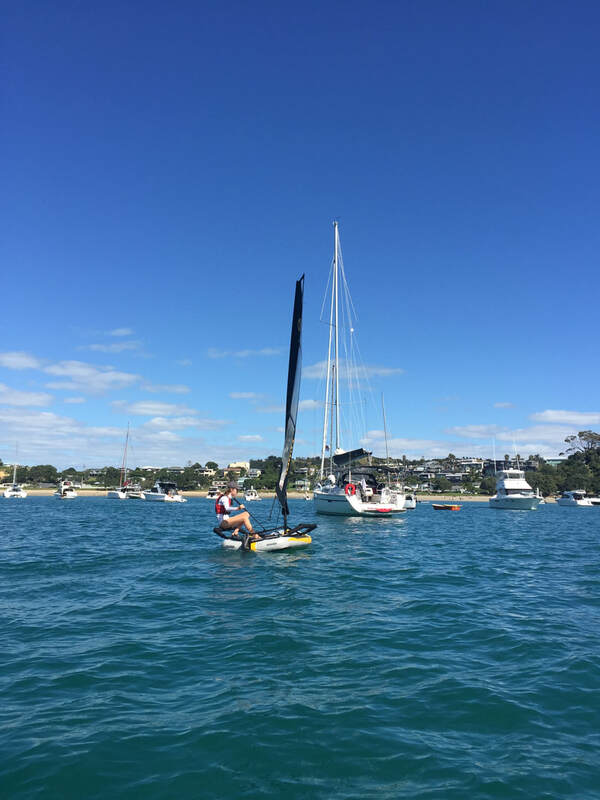 The lightweight, portable, quick to assemble sailing dinghy you can take anywhere! In association with The Life Aquatic, Mona Vale. * The TIWAL sail battens need to be tight for sailing but loosen them afterwards, to keep the sail in good shape. * Wash the TIWAL in fresh water after every few sails to keep the 'push in buttons' on the structure in good working order. 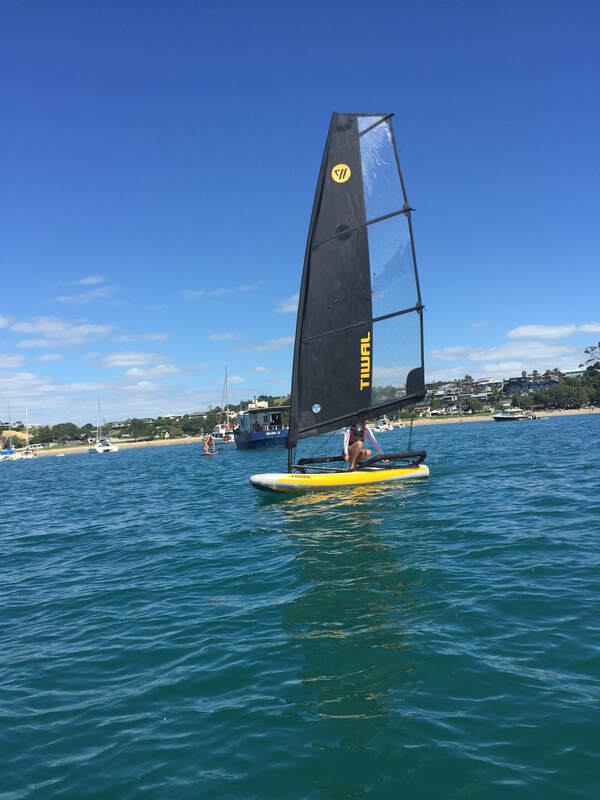 * Keep the TIWAL foils (centreboard and rudder) in their covers out of the sun when not sailing. 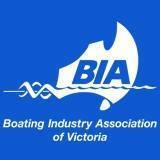 And get a full UV cover if you intend to store the boat outside pumped up. Do I have to be a good sailor to buy a TIWAL? 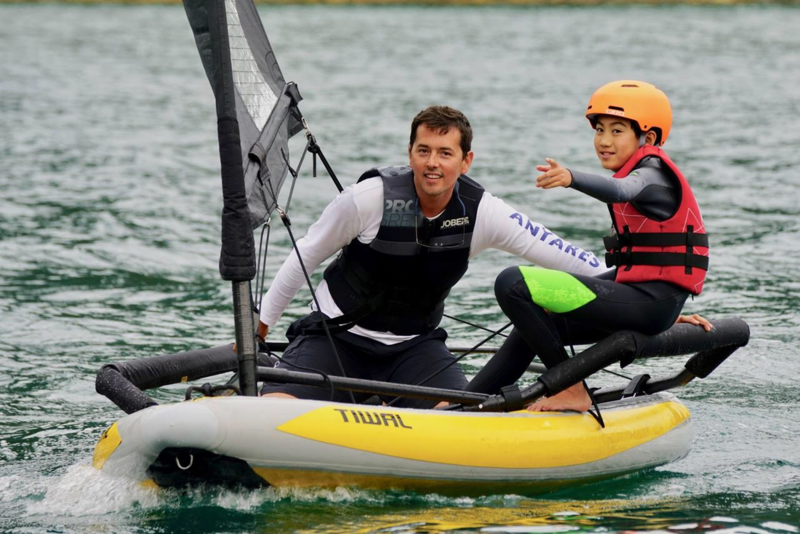 That is the whole point of TIWAL, to make the fun of sailing accessible to all! Intuitive and easy to use, TIWAL is easy to handle; all you need is a few basic skills to use it and have fun. However, if you wish, you can get personal coaching from me. How durable is the TIWAL ? TIWAL has been tested and proven in the harshest conditions and passed all its tests with ease. The hull is strengthened in several places with special UV-treated materials. For example, a very thick material used for white-water rafting boats is used under the hull and anti-chafing bands protect the sides. If a puncture does occur, the hull consists of two airtight compartments, inflated separately. In the event of an incident, it can easily be repaired by an approved specialist. There will be TIWAL Demo Days in Queenstown and Wanaka over the next week and a half. Check out this Facebook page or check again on my website for details of where and when! 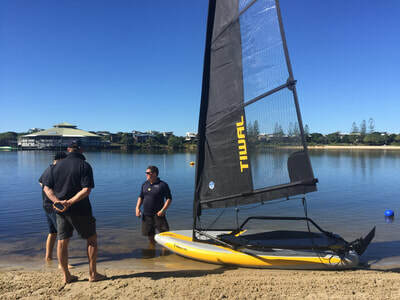 This portable and quick to assembly sailing dinghy will be out on the water this summer. My latest assembly time: 15 mins from car to water!